David Benyamine, who is also known by his nickname "Napoleon", was born on July 5, 1972 in Paris, France. He holds one World Series of Poker (WSOP) bracelet and one World Poker Tour (WPT) title. His hometown is Paris, France. Benyamine was a professional tennis player when he was young, but had to quit because he suffered from pain in his shoulder. He also used to play billiards and was a successful player in France, one of the best ten players in his country. He was introduced to the game of poker when he was 12, and today he is a regular high stakes poker player and a successful one as well. In 2004, Benyamine had an unfortunate incident as he was deported from the States because he did not have a work permit. Benyamine is more of a cash game player, but thanks to his friends, he began playing in tournaments more often. As of 2008, he won one WSOP bracelet and made it four times to the final table. As for the WPT events, Benyamine reached the final table three times and won one WPT title. He won the 2003 Grand Prix de Paris event and took home $410,886, finished 6th in the 2004 L.A. Poker Classic and won $132,355, and came 2nd in the 2008 Bellagio Cup IV event and grabbed $840,295. 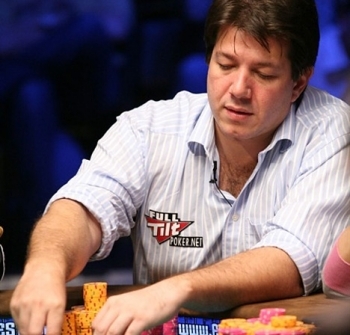 Benyamine played not so long ago at Full Tilt Poker in high stakes tables. They even sponsored him, but now the case is different, as he became a specialist in Pot-Limit Omaha. Benyamine played under his own name but today he plays under the screen name "MR B 2 U SON". He has also made appearances on GSN's High Stakes Poker and NBC's Poker After Dark. Benyamine claims he has never read a poker book or magazine, but that did not stop him from making his fortune and succeeding in poker. And so, as of 2008 he has won over $3,100,000 in live tournaments only. He is engaged to professional blackjack and poker player, Erica Schoenberg, and currently lives in Henderson, Nevada.